Every Empath experiences overwhelm at some point, it is one of the most challenging aspects of being Sensitive. The overwhelm endured, from taking on too much emotional energy from others can, at times, be unbearable. It is often caused by being “peopled”. But being around crowded places or overly negative people is not the only way an Empath becomes overwhelmed. When someone has caused them hurt, by their words or actions, or if they have had negative thoughts directed towards them, it often throws the Empath off-balance, sending them nose-diving into overload. And that is not to mention what they suffer from being in the firing line of another’s low-mood. The more out of alignment the Empath (feeling run down, emotionally low, having unbalanced chakras and hormones, etc.) the worst they are affected by overwhelm and the longer it tends to last. Empath overwhelm affects everyone differently, some much worse than others, at different stages of life. It can lead to lethargy, apathy and mood swings, it can trigger thoughts that keep you awake at night, and dark emotions that flatten you. 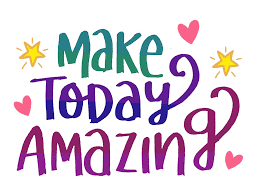 The best way to combat the impact of overwhelm is to take action as soon as you become aware of it. I say small amount because large amounts have the opposite effect (I discovered this the delicious way, by devouring too much). Chocolate can transform and uplift your mood in an instant. Containing compounds which promote happiness, chocolate is the go-to food when you have been emotionally or energetically triggered. Serotonin is a neurotransmitter produced by eating chocolate, known as the happy hormone. This hormone not only activates your bliss centers but it also helps prevent you from dipping into dark thoughts. In my opinion, milk chocolate tends to work better than dark (as dark chocolate has a higher amount of caffeine). But the type you choose is something you can experiment with yourself. Most chocolate contains refined sugar which is a big cause of depression, and inflammation, not just in Empaths but all humans. So keep chocolate just for the times when you’ve been hit by emotional overload. Eat between 2 to 4 small squares of chocolate, washed down with a pint of cool water. The water speeds up the healing and re-balancing process. Place two to three fingers on either side of the temples (between the eyebrows and hairline) and hold for as long as needed. This simple technique helps break the repetitive thoughts that are triggered from emotional pain and overwhelm. I’m not sure why this method works but it does. (I suspect it is because it activates acupressure points and soothes the parts of the brain responsible for emotions.) It makes one feel safe and helps contain any excess ‘head energy’. Great to do at bedtime, when emotional overwhelm turns into rampant thoughts that keep you awake. Taking some calming, conscious breaths at the same time further helps. A mini power-walk or run, dynamic yoga moves, dance routines or skipping, etc. helps burn off raging or uncomfortable emotions. I’m talking very doable bursts of exercise that last between 1 to 5 minutes. Performing short bursts of high intensity exercise releases endorphins into the body, which block the pain transmission signals and produce euphoric feelings that calm the entire system. A great exercise I use, when I have been emotionally fired-up, is the plank. Most will have heard of the plank; it is a challenging yoga move that activates all the muscles in the body. Maintaining it for just 30 seconds is often all it takes to blast out any overwhelm or negative energy. There is a variation of the plank to do whatever your fitness level, from beginners and beyond. You will find plenty of excellent instructional videos on YouTube to get you started. Whatever exercise you choose, as your mini blast, make sure to do something that makes you feel uncomfortable and your muscles burn. (The saying ‘fight fire with fire’ springs to mind here). This may not be something you want to do when feeling low, but it is excellent for lifting the moods. Sound affects you on many levels and singing raises your vibration and can stop emotional overwhelm in its tracks. Anyone can sing, hum or chant, even whistling works. Just make sure the song you choose is uplifting and not one that stokes up painful emotional memories. Try it and see. Being a stimulant, caffeine will heighten any emotional overwhelm you are experiencing. You don’t always realize how caffeine worsens your emotions because the effects kick in 30 to 40 minutes after consumption. It can make you anxious and jittery, and negative emotions are amplified. Not having caffeine will not always prevent emotional overload, but it significantly reduces the symptoms and the way it affects you. So there you go, quick, simple techniques, taken from the book 7 Secrets of the Sensitive, that work to reduce the Empath’s overwhelm! For more similar techniques see 10 Ways to Protect Yourself. 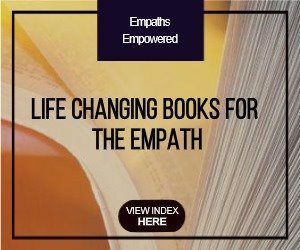 Click here for more life-changing books for the Empath. I’ve found that half a square to a square of dark chocolate seems to work well, though it has to be a kind that I like the taste of, not just whatever happens to be cheap at the grocery store. I’ve also found that just about any connection to music can help, as long as it’s good, positive music. If you aren’t in a place where you can sing out loud, try singing a song in your head or listening to music with headphones. As a student, this one was major for me when I was trying to learn how to combat test anxiety that I was picking up from other people… I’d “listen” to a calm song that I liked (usually something classical, like Pachabel’s Canon in D) and by focusing on maintaining that in my mind, it helped block out the emotions of other people. jackie, if your message was in response to what I posted yesterday, thanks for taking the time to send this message. I really appreciate it. Diane,is your book in any other form in addition to Kindle. I would love to order it, but have become disenchanted with Kindle. I am now leaning toward holding a book in my hands, As an author myself this is strange,but it just is. Thanks for telling me Diane. I have marked it on my calendar so I can order the print copy as of May 26. I am experienceing so much turbullence in my life of late, I have to find out if being an Empath has anything to do with it.. Yes, the Empaths of the world are having a challenging time of late. A lot is happening, shifting and changing. Many people’s pain bodies have been activated which is making them lash out. The Empaths are picking up on all this as well as having their own ‘stuff’ to deal with. This is what I address in my book. Offering ways for the Empath to get in balance, so they can better deal with all that is ‘going on’ and find the peace and happiness they are yearning for. Jackie, was your comment today for me? If so, I thank you. Thanks for this helpful info. I guess I naturally do the controlled amount of of chocolate one naturally. It does work for sure. Pre-ordered your book here in Japan on Amazon. i have been greatly hurt, rejected by the leader of an Empath group and i am so angry, insulted and just damn puzzled that someone in such an important position to have been so insensitive to me. I won’t trust my feelings to anyone again.